The day’s heat can be scorching, and the night’s chill can be freezing. You’ve noticed that your air conditioner is not performing like it used to. What can remedy this situation? A solid system and routine maintenance can not only keep you comfortable, but save a fortune on preventable damages and wasted energy. Let the air conditioning Kissimmee technicians at All Temp give you the rundown on creating the perfect AC system and what to look for during your next air conditioning routine maintenance. Choose the right air conditioner for your home: Every home is unique and has different cooling and heating needs. The size and the type of AC you choose will have a huge impact on how efficient your system is. The professionals at All Temp can visit your home and help you determine the best air conditioner for your space. Then, it is imperative to maintain your system. What maintenance do I need? : Let’s face it, our air conditioning systems are used constantly due to Florida’s tropical climate. An unmaintained air conditioning system can cause wear and tear to your AC unit, poor air quality, and an uncomfortable home. Waiting until your air conditioning system has a critical issue can be expensive to repair. Fix this by having your air conditioning system checked on routinely. An HVAC technician checks your thermostat settings for proper readings, checks drains for any clogging and inspects any problems that they’ve noticed during your routine maintenance. When do I need maintenance? : Even if you haven’t noticed anything odd with your air conditioning system, it’s a good idea to get it routinely checked at least once a year by an HVAC technician. Why? Having an efficient air conditioning system means that your system can properly function without consuming as much energy as it usually would. This can help you save on your next energy bill and prevent problems that may have gone unnoticed to the untrained eye. Choosing the right HVAC professional: There’s a lot of competition for air conditioning maintenance, and if you’re not careful, you may be conned for expensive services that were not needed. If an HVAC technician suggests expensive repairs or replacement of your AC unit, consider getting advice from other trusted technicians that this is the case. Play it safe and make sure that your technician is licensed as an HVAC contractor. Having an efficient air conditioning system is crucial to maintaining comfort in the scorching summers and chilly winters. With All Temp’s air conditioning Kissimmee technicians, you can prepare for upcoming seasons without the worry of your air conditioner breaking. 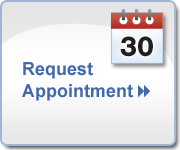 Call us at (407)857-7800 to schedule your consultation or routine maintenance. There seems to be visible mold growing inside or on your heating and cooling system. What could that mean? It may be time to clean your air ducts. What is air duct cleaning exactly? The Kissimmee air conditioning professionals at All Temp AC and Refrigeration believe that cleaning your air ducts is beneficial to not only your house but also your air quality. What is air duct cleaning: Generally, duct cleaning refers to cleaning various heating and cooling system components, including grilles and diffusers, cooling coils and heat exchangers, motors, fan housing, the return and supply air ducts and registers, and the air handling unit housing. These components can become contaminated with debris and mold if not installed or maintained correctly. When should you clean your air ducts: When you notice visible mold growing inside of a hard surface, like metal, you should consider having your air ducts cleaned. Understand that some substances may look like mold, but to make sure that it is, it’s highly recommended that you send a sample of the substance to a microbiology lab. For about $50, they will tell you if a specific substance really is mold or just a look-alike. Keep in mind that if you have insulated air ducts that are wet and moldy, they cannot be cleaned and must be replaced. Vermin can also infest your ducts and contaminate your air with debris that is released into your home. Choosing the right duct cleaning service provider: It is important to hire the right professional duct cleaning service provider that won’t try to take advantage of you or make false accusations. If a duct cleaner tells you that duct cleaning should be done regularly, they aren’t trustworthy. If the service provider says they are certified by EPA, know that the EPA does not establish air duct standards or certify air duct cleaning companies. Play it safe and check the provider’s references, customer reviews, or check with your county office of consumer affairs. ean and free of debris. Finally, run your air conditioning system to check if the system properly functions with both heating and cooling. It is true that clean air ducts can help avoid allergy flare ups and can provide cleaner, dust-free air throughout your house. Our Kissimmee air conditioning experts at All Temp want to ensure that you breathe easy knowing that your air is not contaminated with debris. If you think you need service done on your air ducts, call (407)857-7800 to schedule an appointment.